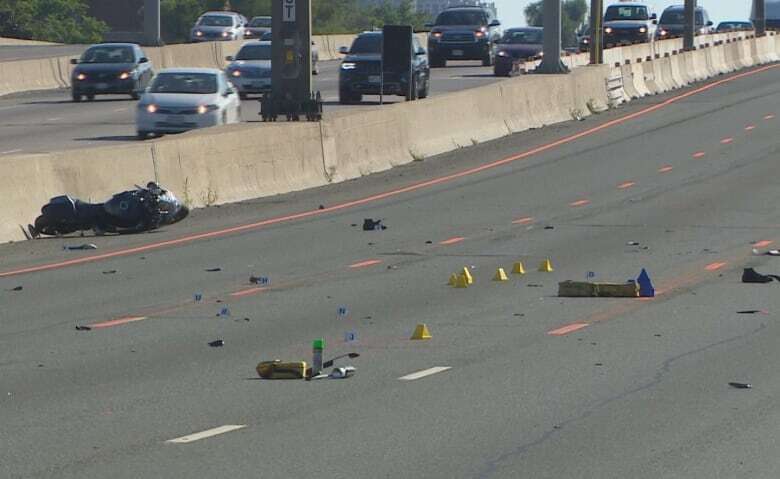 An eight-month investigation has led to charges in two separate cases where aggressive motorcycle riders caused death and bodily harm in the Toronto area, Ontario Provincial Police say. An eight-month investigation has led to charges in two separate cases of aggressive motorcycle riders in the Toronto area, Ontario Provincial Police say. One motorcyclist was killed and another was injured after an early-morning crash on Highway 401 last July. Police say a group of motorcycles was travelling together near Allen Road, slowing traffic and performing stunts. At least three motorcycles then collided with a transport truck and one rider was killed. He has been identifed as Mauro Bustelo of Toronto. OPP say several other motorcyclists fled the scene. 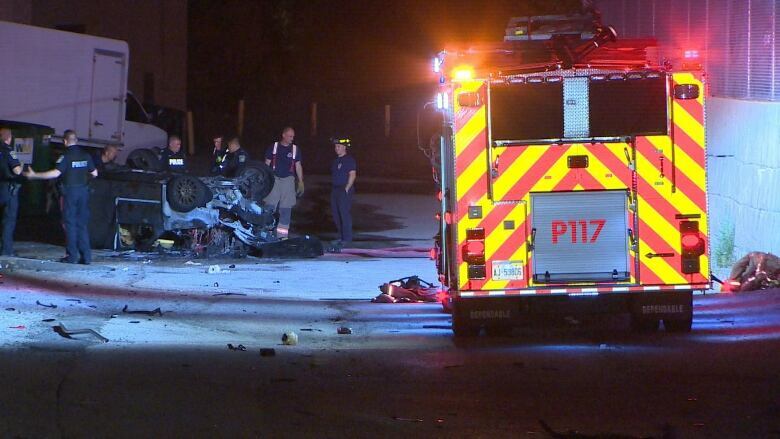 In a separate incident last September, police say road rage between a motorist and a group of motorcycle riders led to an assault and a fiery crash in Mississauga. According to investigators, the riders were slowing traffic and performing stunts around 10:40 p.m. on Highway 427 near Dundas Street. There was a violent confrontation between a motorist and several riders, and both parties stopped on Highway 401 near Dixie Road where a female passenger in the vehicle was assaulted. The driver fled the scene in his car and was chased by the motorcycle riders, before he crashed on Aerowood Drive and suffered minor injuries. The riders then took off, police say. The woman also suffered minor injuries. The driver, a 22-year-old from Kitchener, was charged at the time with drug possession, driving while under suspension and dangerous driving. On Tuesday, officers from the OPP's Highway Safety Division, Toronto detachment, and several other bureaus, executed search warrants at locations throughout the Greater Toronto Area. A 33-year-old man from Richmond Hill was arrested in connection with both incidents. He's facing several charges, including dangerous operation of a motor vehicle causing death and dangerous operation of a motor vehicle causing bodily harm. 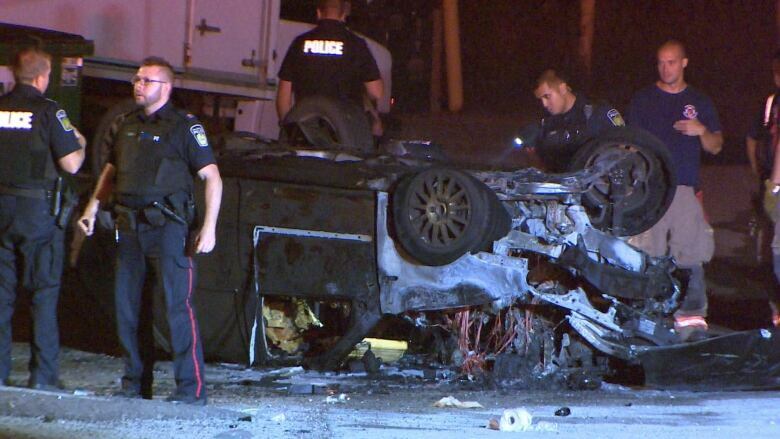 A 35-year-old Toronto woman, a 38-year-old man from North York, a 32-year-old man from Newmarket and a 25-year-old Mississauga man are also facing charges in relation to the July crash. OPP officers have seized four motorcycles and say additional arrests and charges are expected in the coming days.